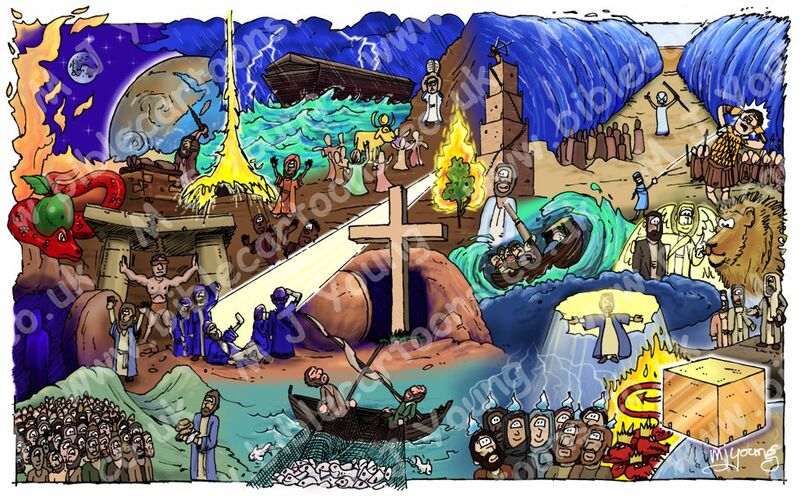 The old composite home page cartoon had 17 stories, from the Old & New Testament. I’ve decided to include 6 new story elements, including the empty tomb (of Jesus), Jesus’ ascension into heaven & Daniel & the angel in the lion’s den. I hope these new elements will help to represent the major themes of the Bible’s message more completely than the previous one did.